We all have that one weird friend in life. Some of us have many weird friends. Here is a summary of some of the weird friends I have in life. She uses Rin soap to take bath. He pings me on my FB messenger when he is in the loo. I would ask him “Hey What you doing?”. He would reply “I am letting it go”. I would ask him “Letting go of what?”. He will immediately take a selfie and send the photo to my inbox. She goes to the beauty parlour every week. Sometimes she colours her hair. Sometimes she does pedicure / Manicure. She reminds me of how I used to be in my college days. Last week she went to a fish spa. The beautician washed her feet in warm water and then asked to soak her feet in a water tub filled with colourful fish. She did all that. After a few minutes, the fish in the tub started to float. On a closer look, she found that the fish were all dying. She was immediately asked to remove her legs from the tub and asked to leave the parlour. This happened in Phoenix mall in Chennai. Off late I am receiving lot of emails from girls who are crazy about me. This is one such email. goodnessrossi55@hotmail.comHello my dear how are you i hope that you are fine please try to contact me in my email (goodnessrossi55@hotmail.com) so that i will give you my picture for you to know who i am, and i aminterested to make friend with please try to contact me in my box because i don't have any access to reply your message in my facebook try to reply me in my email box ok.Thanks.Yours Truly Friend,goodness. She is my only TRULY friend. Do you have a TRULY friend in your life? There is a group of people who suddenly get close with me when I have money in my hand. I don’t have a clue how they find out when I get a lump sum of money. These are the ones I am really vary of in life. I keep them at a distance. Beware of them. I will always trust a drunkard. But I will never trust these fellas. 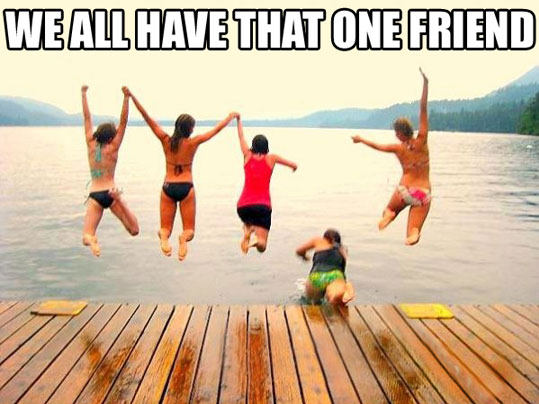 haha yes , we all one such friend. I got an email from the same person you mention in your #6 example. Any idea who that is?